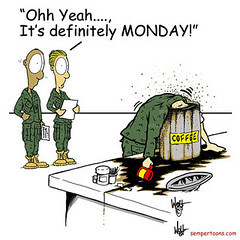 Woah, it’s Friday already and I haven’t posted since Sunday! Sorry about that. Bad blogger. I need to get back to writing about New Zealand, but this week has consisted mainly of overtime and being too tiiiired to even contemplate doing anything other than work and then make dinner in the evening. We did receive our new chest of drawers on Wednesday though, which Jan put together after work that day and I filled with clothes yesterday, so that’s something. Anyway, since it’s Friday, here are some letters for you. Dear bedroom. In just 35 little days the wardrobe will be delivered then we can finally unpack the rest of the clothes and rid you of boxes for good! Sorry it’s taken so long! Dear tuna pasta bake. I love that you are both easy to make and relatively healthy. You were my saviour the other day when even the thought of chopping or peeling anything made me want to go straight to bed! Dear sun. Oh, hi! I don’t suppose you feel like sticking around for the weekend? Dear fellow bloggers. If I usually comment on your blog regularly and haven’t recently I apologise! I’ll get to you soon, promise! Today it was hot and sunny for practically the first time since we got back from our holiday (well, with the excpetion of the day after our return). Being the fool that I am, I left both my sunhat and my sunglasses at home this morning. You would think after this incident I would have learned my lesson! Luckily my route from work to the tram stop can be walked in the shade, and back in Karlsruhe I took the tram home… even though it’s only one stop. Tomorrow, rain is forecast again. So much for summer! I know I promised you biscuits (cookies)… and I will be posting about them in the near future… as soon as the very idea of uploading photos to my blog doesn’t seem like a monumental effort. I’m sure you don’t want a post about biscuits without pictures, do you? At the weekend, Jan and I had a very long and very draining conversation about our relationship. I still have no idea where things are going, if anywhere… but he did say the last 3-4 months have been great, which makes him think he does want a future with me. Buuut generally he still doesn’t know what he wants. From our relationship, from life… he just doesn’t know. I’ve agreed to stay until Janaury… again (sound familiar in any way?). Because I’m weak I actually think we make a good couple and I hope things will work out between us. Also, I can’t actually afford to move out right now, so once we get back from our trip to England I’ll start saving up so I can actually pay the deposit on a flat come January! Tomorrow is the quiz and I’ve never felt less knowledgeable… except maybe last month. Ick. That’s all I can think of, and I have to get in some exercise before I start cooking, so this is where I leave you. Proper post coming up tomorrow… maybe. The above photo shows one of the lanterns on the Ha’penny Bridge. And behind it? Nothing but blue sky! And the weather continued to be like that for the entire time we were in Dublin. Or at least until we were walking back from the pub on Monday night, which is good enough for me. Once we were all suncreamed up, we walked on towards town where the first touristy thing we came across was St. Stephen’s Green. We saw swans with cygnets! And also ducks, seagulls and a very cute little girl feeding all the birds (even the pigeons). Then we discovered that the waterfall that’s drawn on the map was a lie, so we went and looked for the statue of The Fates instead, and found out that it had been a gift to the city of Dublin from Germany. Next came shopping because the other female in the group had forgotten to bring a hat out with her and the sun was HOT! We visited TK Maxx first and I looked at sunglasses while she looked at hats, but neither of us found anything. Next stop was Claire’s, where I actually found a pair of sunglasses that suited me (miracle!!) and my friend purchased a fabulous straw hat with cat ears!! Then we stopped by a fancy dress/joke shop, where we had our first encounter with horses heads. We did not buy Charlie at that point though. Once the girly shopping type stuff was done, we headed towards the river and then on to Leo Burdock’s – Dublin’s oldest fish and chip shop. We arrived at just the right time – there was no queue when we got there and a huge one by the time we left! It being such a gorgeous day, we took our food across the road and ate it on the grass round the back of Christchurch Cathedral, watched by a very well behaved seagull. After he’d let us take several photos of him and not attempted to steal any of our food, we rewarded him with fish. Then we walked into the grounds of the cathedral, where there was a stall selling fudge of various kinds. Jan and I got four varieties: Chocolate, chocolate orange, honeycomb and rum & raisin. Yum, yum!! The rest of the afternoon was spent wandering around looking at various things, failing to see Dublin castle because it’s closed to the public while Ireland is hosting the EU presidency, hanging round in a cute little garden near the castle, sneakily using the facilities at the Chester Beatty Library and going inside St. Patrick’s Cathedral before ending up back at the joke shop where we decided we did want a horses head after all. Next on the agenda was a cocktail at a bar called Dandelion. The drinks came in plastic glasses and while mine tasted okay it was so weak you could barely tell there was alcohol in it. If you want to drink cocktails, don’t bother with this place! Following our unimpressive cocktails, we went off in search of food, which we found at the Gourmet Burger Kitchen. I quite enjoyed my avocado and bacon beefburger – at least it had a decent amount of bacon in it! Other members of the group were less impressed with their choices though. The food thing out of the way, it was time for a few drinks in a real Irish pub… and for some fun with Charlie the horse. And thus concludes day one. The next day was Trinity College day. We decided to pay 10 euros for the tour plus Book of Kells, rather than 9 for just the book. The tour was interesting and out tour guide (David) was pretty cool. The exhibition on the Book of Kells was quite informative, but the book itself was precisely as underwhelming as our Lonely Planet had warned us it would be – with all the many people crowding around it, there simply wasn’t time to get a proper look at all the detail on the pages. However, the Long Library which you go through to get from the Book to the exit was AMAZING! So many old books… it was like I’d died and gone to heaven! It being Sunday, we wanted to look for a roast dinner, but in the end we didn’t actually find one. We went to a pubcalled Slattery’s where I did have some very nice roast chicken, but it came with chips, which is just not the same thing at all. We also spent quite some time persuading a couple of the boys that it’s perfectly okay to order a soft drink in a pub! Food done, we walked through the shopping area for a bit and finally came to O’Connell Street and the famous Spire of Dublin (officially the Monument of Light for reasons I am unable to fathom). Again, note the blueness of the sky! We couldn’t have had better weather in Dublin if we’d programmed it ourselves! The next stop was the Garden of Remembrance, where we watched some local kids climb the statue and then scram when the Garda (Irish police) turned up. Very entertaining! Shortly after that, we were asked to leave because the place was closing, so we went and had ourselves a nice cup of tea instead. Charlie was ready for a cuppa too after all that walking! Aah… a nice cup of tea! Once everyone was refreshed, we walked back down to the river to take photos of more bridges and check out the Famine Memorial. We finished the day at another pub, where I chose to drink Swedish cider rather than Irish beer and where we discovered an interesting flavour of crisps. Sadly, the taste was rather disappointing. I’ve no idea what shamrock should taste like, but these just tasted like plain old sour cream flavour to me. On our third and final day in Dublin, the group split up with three of us getting up early to go to Kilmainham Gaol while the other three had a lie in before going shopping. I was with the Kilmainham Gaol group, as I had wanted to go there the last time Jan and I were in Dublin but didn’t get the chance. Both the museum and the guided tour were very informative and at times I found myself almost feeling ashamed to be British –for example after hearing about how James Connolly, one of the ringleaders of the 1916 uprising, who was unable to stand to be executed and was instead tied to a chair to be shot. No wonder so many Irish people hate us! It’s a chocolate bar… with crisps in it?! Yes, that really is a chocolate bar with pieces of cheese and onion crisps in. Surprisingly it worked quite well, although I wouldn’t want to eat a whole bar! Back in town we met up with the others and the two girls went for a hair cut (something I have yet to bring myself to do in Germany). Freshly cut and blow dried, we headed to the café next door where the boys were waiting and had a sandwich before heading on to our next activity: a tour of the Old Jameson Distillery. For all those who are thinking of doing the tour… don’t bother!! It’s basically a giant advert for Jameson’s and a total tourist trap!! However, the hot whiskey cocktails we had in the bar afterwards were incredibly tasty, so you could always pop along just for that! Whiskey drinking done, we walked back to the town centre to spend out last evening eating and drinking at O’Neill’s bar on Suffolk Street. I may not have got my Sunday dinner the day before, but the carvery at this place more than made up for it!! I had turkey and ham with all the trimmings and I also got to try some of my friend’s lamb, which was amazing!! The food was so good that nobody even thought about taking photos until every last bite of all six meals had been demolished. I’m feeling hungry all over again just typing this!! And that was the end of our trip to Dublin. Next up: ROAD TRIP!! 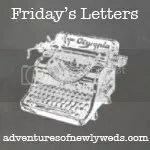 When I wrote my first Friday Letters post, I honestly thought it was going to be a one off. But I actually find it a good way to get at least one post in a week without having to put too much thought into it (I may only write my blog for me, but I still hate to neglect it!). And it means I have a sort of record of what I’ve been up to each week. Here are my Friday letters for this week. Dear cough. I appreciate you allowing my to sleep for a whole five hours in a row last night, but it would be great if, tonight, you could let me fall asleep faster. A whole hour of having to cough every time I was close to drifting off was not fun! Dear whoever invented remote access and stuff like that. It’s thanks to you that I was able to stay at home today and not annoy all my colleagues by constantly coughing at them, yet was still able to do work (a bonus seeing as a) I didn’t feel ill enough to stay in bed and b) lying down actually made the coughing worse! Being able to work saved me from being bored rigid after the first few hours of being home alone). I am also very grateful to my employer for allowing us to actually use such technology. I know plenty of people who couldn’t work from home simply because they would have no way of accessing their company’s system from there! Dear Germany. Why do you not sell Lemsip? I only have three sachets left and my next trip home won’t be til March! If anyone in Germany has managed to find a Lemsip/Beecham’s powder equivalent please tell me what it’s called! And all those hot lemon etc. powders from DM and the like don’t count! While they do temporarily sooth my throat, they contain nothing even vaguely medicinal. Is a hot drink containing paracetamol and decongestant really too much to ask, Germany? Dear trees. You looked so pretty today with the sun shining on. Do you think you could stay like that for another week or two, at least until the Christmas markets arrive to bring some colour into the winter. And while I’m at it, perhaps you could also show your face a little more often, Mr Sun? All the rain this week really hasn’t done anything for my mood (or my cold for that matter!). I arrived home from work today and immediately had to go and sponge down my entire body with cold water. I was seriously that hot! First my train was delayed, then they sent a replacement IC (Inter City) instead of my usual ICE (the express train). For some reasone ICs are always really old, have hardly any seats and, in this particular one, no air conditioning. In a stupidly full train on a day where it’s 33°C outside. Well done Deutsche Bahn. The window was open, but apart from blowing hot air around the carriage (it was a bit like a hair dryer, but less noisy) all it did was practically pull my hair out of its roots. That and cause my ears to feel like they were going to explode when we went through the tunnel. And while the top half of my body was being buffeted by warm wind, I could actually feel sweat trickling down my legs. I told you it was a good job I was wearing a long skirt!